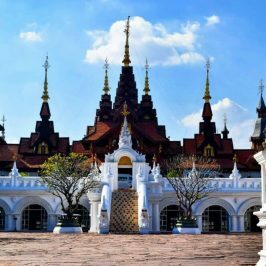 Pattaya travel guide for Indians will cover everything from how to reach from Bangkok or u-tapao international airport, Visa information, Airport guide, Shopping, Where to stay, transport within city, Things to do, What to eat etc. everything you need to know about Pattaya. Pattaya resides on the Eastern Gulf Coast of Thailand, about 150 km southeast of Bangkok. The main language spoken here is Thai, and the official currency used is Thai Baht. Pattaya attracts around 10 million visitors each year. Being a major tourist destination, people also know English too. It is mostly famous for its go-go bars, legendary nightlife, 24/7 party atmosphere and sunny beaches. Local authorities have made efforts to provide this place some more family-friendly attractions and activities. Therefore, this is our Pattaya travel guide for Indian friends and families, so that they can know more about this city. For the Indians who wish to visit Thailand for more than 15 days have to get their visa in advance from Thai consulate in India. This Process is managed by VFS in India. For a limited period till August 2017 its free for Indian tourists, Afterwards Tourist Visa (Single entry) is INR 2,000 (permitted to stay for a period not exceeding 60 Days in 3 months). Tourist visa (Multiple entry) is INR 10,000 (permitted to stay for a period not exceeding 60 Days in each entry for 6 Months). There is no bad time to visit Pattaya. This city never sleep and is always waiting to greet you with wide arms open 365 days in a year. 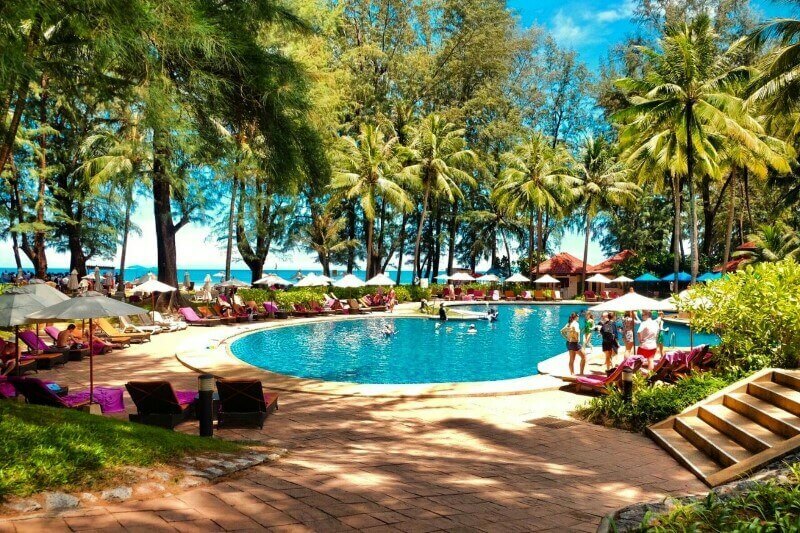 Due to climatic conditions there are certain months in a year, when the city is very pleasant with low humidity, no rain and cool evenings, which makes the ideal time to visit Pattaya on holidays. • November – February (High Season / Less Humid): During this time of the year, Pattaya weather is neither too hot nor too cold and remains mostly pleasant. Therefore, this is the peak tourist season. All the beaches and other tourist attraction are packed with visitors. You can also get drizzle (short rain) on someday. Note: Try to make all your bookings in advance because places get sold out and prices tend to rise. • March – June (Hot Season / Extreme Humid): This duration of the year is quite hot and humid. This actually doesn’t impact much on tourist, Pattaya has good footfall of visitors during these months as well. 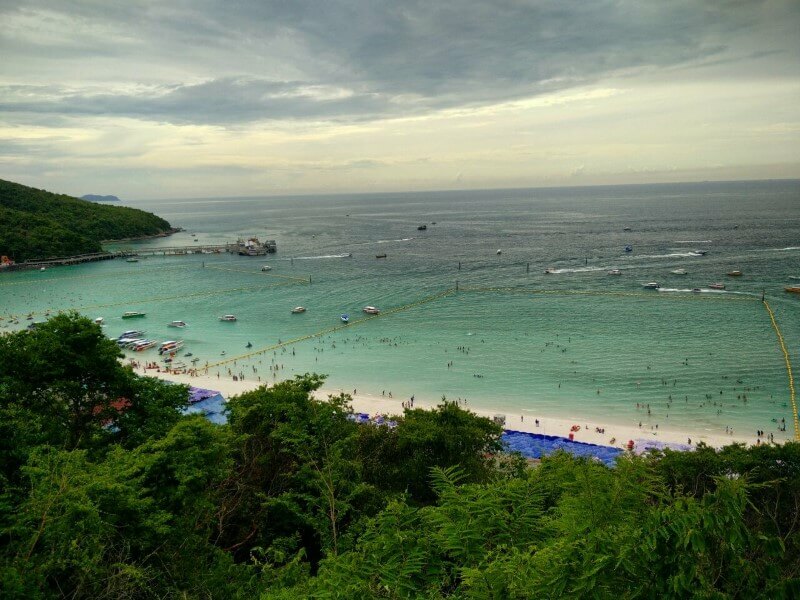 The beaches remain busy but aren’t as crowded as during the peak season. Note: Positively carry sunscreen lotion, sunglasses and a hat. • June – October (Wet Season / Rainy): This is the quiet time in Pattaya. Less tourist due to rainfall and humid weather. It rain almost daily, during the late afternoon for an hour or two. Rest other time of the day you can enjoy the charm of the city. It is overall very less crowed than the high season. The hotel prices naturally becomes cheaper. The nearest airport to Pattaya is the U-Tapao Airport located 30 kilometres away from city center at Sattahip. It is served by very limited connectivity to a handful of destinations. The most convenient way to get to Pattaya is via Bangkok, as it is just 147 km southeast from there. Suvarnabhumi airport is well-connected with most international and domestic airlines operating in and out from Bangkok. The Airport is about 120 km away from Pattaya. There are taxis available from Suvarnabhumi to Pattaya and the journey takes around 80-90 minutes depending on the traffic condition. They have fairly reasonable price, the official meter-taxi price is 1050 Baht plus 60 Baht for express way. 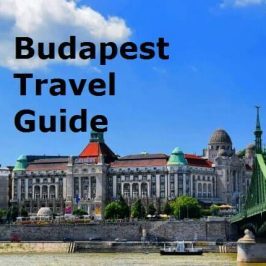 It is the first choice for backpackers looking to travel around on a budget or for those travelling with minimal luggage, public busses are very affordable. Buses depart from Suvarnabhumi Airport about 5 times per day and cost around 130 baht depending on whether you’re going to Pattaya or onwards to Jomtien. Pattaya is 2 hour drive from Bangkok. There are frequent bus services between Pattaya and Bangkok connecting the main bus terminal of Pattaya with other bus terminals of Bangkok. Air-conditioned buses leave approximately every thirty minutes between 05:20 and 23:20 each day and cost 117 Baht. Northern Bus Terminal (Mochit) between 05:30 and 20:00 each day. Southern Bus Terminal (Sai Tai Mai), buses leave at 05:30, 08:30, 10:00, 12:00, 14:00, 16:00, 18:30. The first option is you can hire/ rent a car to drive by yourself between these two cities or the most relaxing way is take a taxi, which is door to door service. The official fare is 1500 Baht plus expressway fees. Train service operates between the main train station in Pattaya and the Hualamphong Station of Bangkok on weekdays at 06.50. The journey takes around 3 hours and it cost 31 Baht. But this should be the last option as this is the third-class train without air condition. You can get detailed information about both the airports in our Bangkok Airport Guide. It has everything in detail you want to know. It includes bus number, taxi counter info, how to get tickets for airport link and all the price. You can also look for Apartments on Airbnb. Here is 2000 INR (30 USD) free credit for your first trip. There are many activities which can booked among these. You can book these attractions by clicking on them which will take you to vendor website. There is no street in Thailand like Walking Street of Pattaya. You will be amazed to see bars, nightclubs, go-go bars, restaurants and beer bars there and when darkness falls the neon lights, loud music and an army of girls hit the streets. As the name suggest there is no vehicle allowed after 6pm, free to walk. It is a huge amusement park to enjoy full day outing with your family and especially with kids. You will experience the thrill of over 150 slides and attractions in 10 different themed zones. This is a great place to come with children, friends or family. You will leave the gallery with a lot of funny moments captured in your camera. Art in Paradise inspires to get creative with the paintings as the 3D imagery looks more authentic in photographs. The incredible talents of the transvestite & transgender community, showcased in a show full of exotic spectacular scenes with the latest technical lighting and sound. Extravagantly beautiful costumes, toe tapping choreography. Tiffany’s Show Pattaya plays 3 shows nightly, every night of the year — truly a MUST to see on any tourist itinerary. Get educated with Khao Kheow zoo’s interactive shows and animal feedings. Animal Show to demonstrate the students about the behaviors and living conditions of wildlife in the ecosystem, and the importance of various kinds of wildlife. 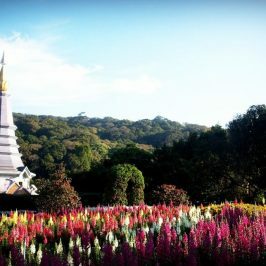 It is a themed botanical garden which includes cultural shows, restaurants and even accommodation. As it is very vastly spread, it is better to rent a bicycle to explore all the attractions within the garden. If you want to see a great show, head over to Alcazar Cabaret Show. It is high-quality transvestite cabaret show with stunning costumes beautiful song and dance routines. It is Family-friendly fun activity to do. Enjoy Thailand’s famous ornate wood temple and trace the origins of Thai wood carving. It has stunning detailed carvings of elephants, people and scenes, creatures from mythology. Visit Coral Island and swim in the turquoise waters. Go snorkeling with Seawalker – a safe way to dive for beginners. Enjoy banana ride, discover the underwater world, fly with a parachute and a lot more activities are waiting for you at Coral Island. Choose from a selection of 7 attractions: pick your favorite 5 or visit all 7! It includes haunted house, wax museum, find your way at mirror maze, laser challenge, 12D cinema experience etc. Explore the different landmarks all around in the world in a day. They features famous landmarks like Eiffel Tower, the Leaning Tower of Pisa, London Tower Bridge and Angkor Wat in Cambodia and many more. They display a wide and impressive diversity of sea creatures which includes beautiful coral, sharks, giant fishes etc to look at. 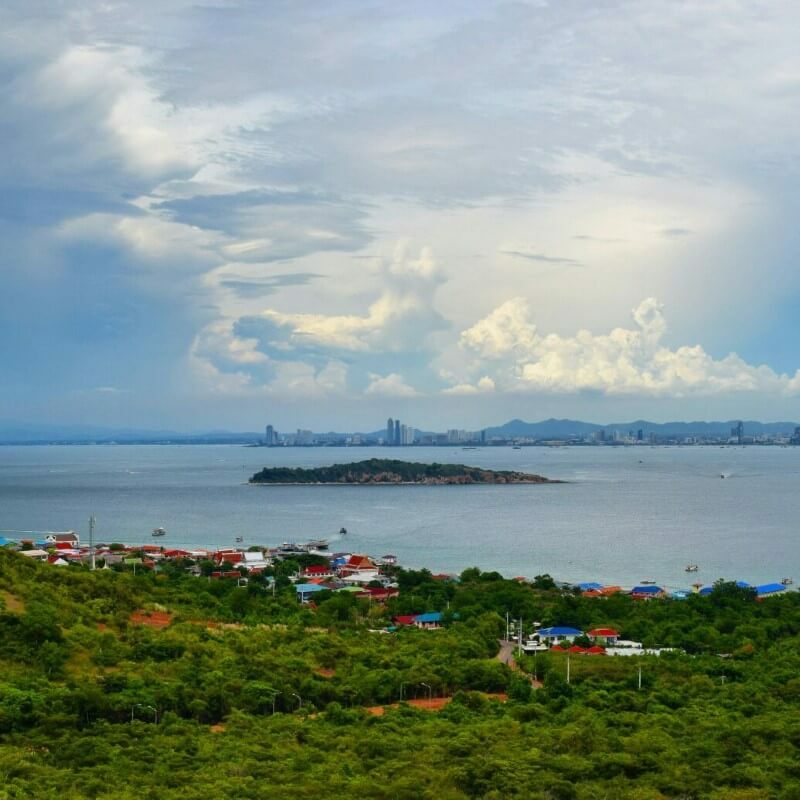 Explore Pattaya’s beautiful islands such as Koh Pai, Koh Rin and Koh Ling. They will take you either on a shared boat or personal tour. 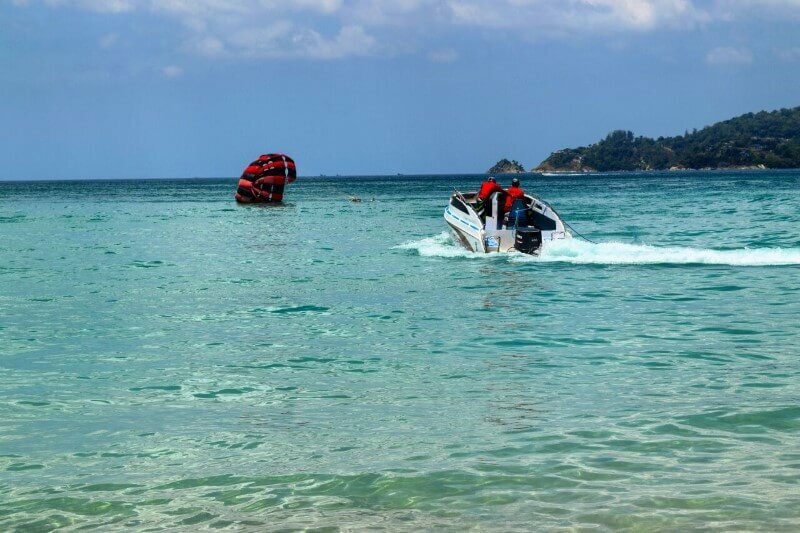 This is the best way to explore Pattaya. Streets of Pattaya are filled with Indian restaurants. You may get confused to find the best. 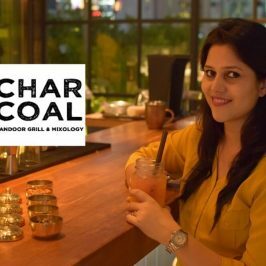 So, here is our list of best Indian Restaurant divided into mid-range Veg/ Non-veg restaurants and fine dining restaurants. Below is the list of vegetarian restaurant mostly recommend for pure vegetarian Indian Families/Tourists. The most popular pure vegetarian Indian restaurant. Saras menu covers from “Snacks” Chaat Chowpati, to Indian Chinese, South Indian, Tandoori Tikkas-n-Kababs, Main Course covers from North Indian, Rajhasthani, Gujrati, Jains meals. This is small restaurant with good quality food. The restaurant people will make your food vegan if you ask for. The restaurant serves north Indian and south Indian cuisine. We will recomed to order their Thail, which is the best way to taste a complete set Indian meal with filling portions. They serve north and south Indian cuisine. Small restaurant with impressive food. 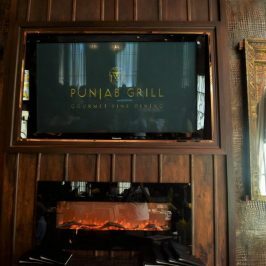 They are famous for authentic, classic Indian food. Mentioning they don’t serve Alcohol. Decent ambiance with amazing food. They are good in both veg/non veg delicacies. They also have spa and massage section to rejuvenate your travel. They have great quality of food. They also do deliveries. They serve Halal food. Known for their customized species and famous for butter chicken and Naan bread. There are not much fine dining Indian restaurants available in Pattaya. 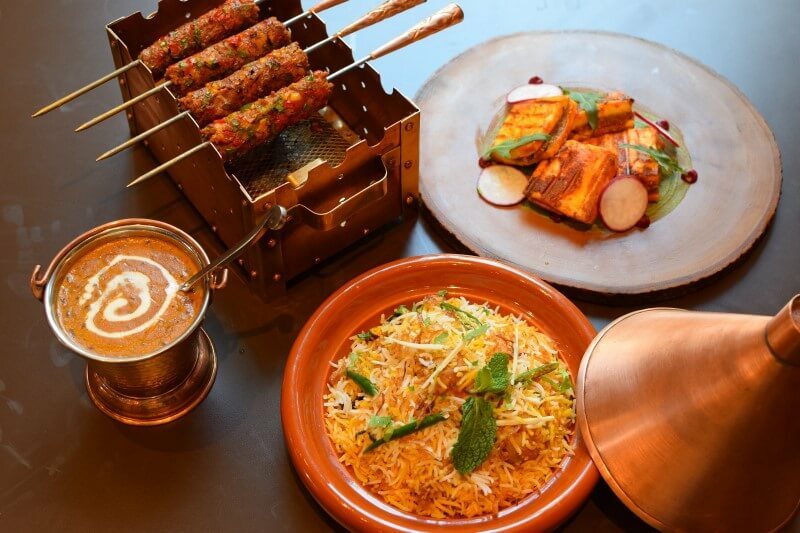 What we have listed here are the excellent Indian Restaurants in the city with delicious food and great ambiance. The menu of Inidan By Nature restaurant has many varieties starting for vegetarian and non-vegetarian appetizers, delicious curries of main course and classic authentic desserts. Mantra Restaurant is chic, stylish and unlike anything else you will find in Pattaya. They have a range of world cuisine which also includes Indian cuisine with an open-kitchen style of dining. 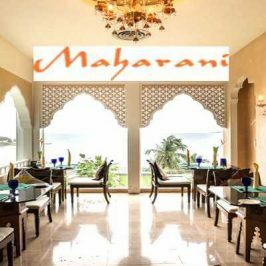 Maharani serves authentic Indian dishes from all over the subcontinent. The staff is very nice and always ready to help you. On request they even alter the set menu of Thali. In Al Bukhara the food is cooked in clay ovens or tan door in the traditional style of the Middle East and Indian North-West Frontier region. The food here is super delicious. Pattaya is certainly not so famous shopping destination, there are relatively less number of malls and shopping area in the city in comparison to Bangkok. Most of the malls are much more popular place for hangout and other fun activities. The top places to shop are found along Pattaya’s Beach Road, particularly towards the southern end. Here are the list of shopping malls, markets, stalls and even a bazaar. It is perfectly possible to get around entirely on foot in Pattaya. All the beach hotels, clubs, bars and shops are condensed into a specific area. 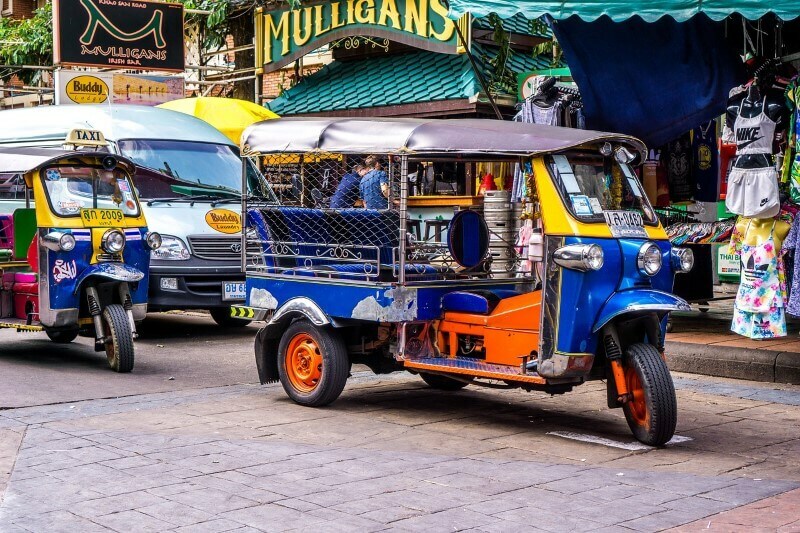 Walking is a great way to explore the city but it may be best to walk in the morning or evening as the heat in Thailand can be unbearable at midday. However, the transport facilities here are so regular, reliable and affordable. We recommend air-conditioned transport if you are going to nearby or far attractions from the city. This is the most adventurous way to commute in Pattaya. The rent of motorbike starts from 150 baht to 200 baht per day. Helmets are mandatory. Renters are expected to have driver’s license, either a Thai license or an international license. The rental agency won’t check for the license, but the police might and if you don’t have one it will cost B200. It is one of the fastest ways to get around town when you’re a solo traveler especially during rush hours. Motorbike taxi drivers are easily recognized, they wear numbered orange vests. Fares will be 30- 40 baht within Pattaya. There are easily available meter taxi, preferable for those with kids or travelling to far attractions from Pattaya. They runs on meter starting with 35 Baht. Always remember to ask the driver to switch ON meter before the journey starts. It is the most common mode of transport in Pattaya. They are dark blue rusty pick-up truck with two benches in the back and a cover on top. They are also famous as ‘baht buses’. They run with affixed fare of 5 Baht from locals and 10 Baht from foreigners within Pattaya. 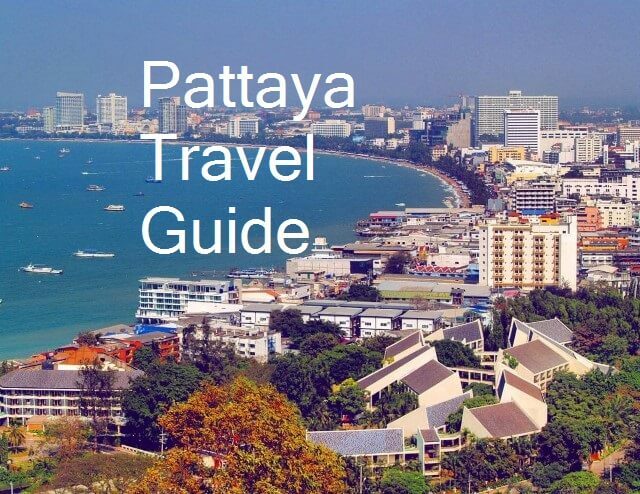 Hope you liked our Pattaya travel guide. To see more of our travel pictures follow us on Instagram. is it for one person per meal!